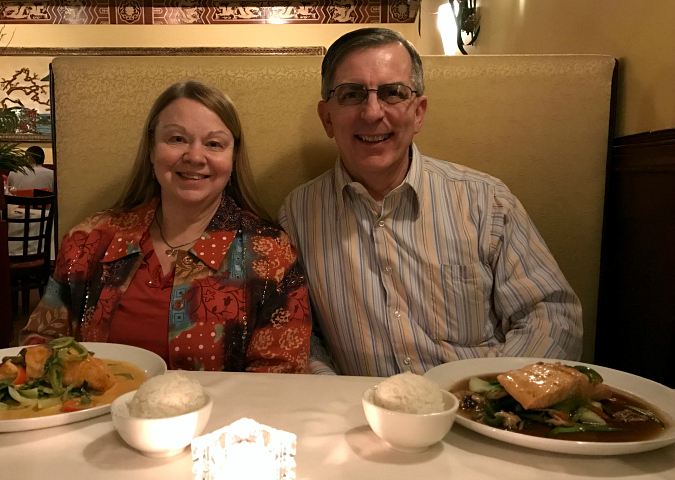 on saturday, we got together with my parents for dinner at one of our favorite restaurants, formosa. 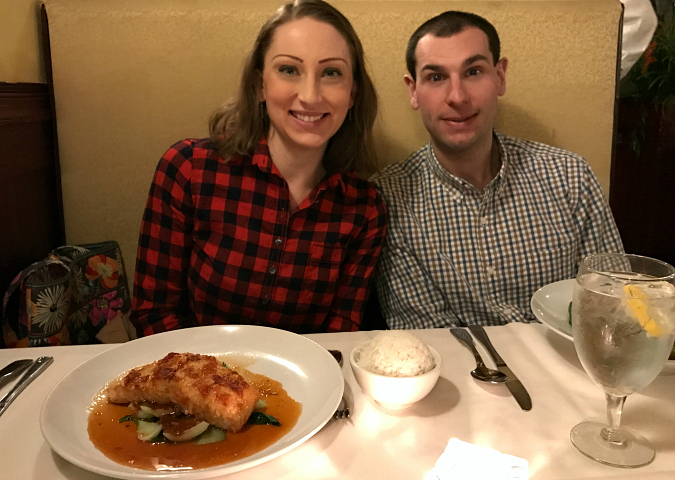 ryan and i have been to formosa tons of times, but my parents had never been there before so we were excited for them to try it. it's such a great restaurant with a unique asian fusion style. we all loved our dinners. my parents and i tried three different salmon dishes and ryan had an eggplant and veggie dish. for dessert, we all shared a fried banana in a wonton wrapper served with a scoop of homemade coconut ice cream topped with crushed peanuts. everything was so good, we left the restaurant totally stuffed! after dinner, we headed back to our house and cuddled up on the couch to watch the movie sully. I can not stop thinking about that salmon. It was so delicious and the red curry coconut sauce was absolutely magnificent. I can not wait to go again. So on Sunday I made a Thai pork with coconut milk and ginger. Pretty good, but their sauce was the best. 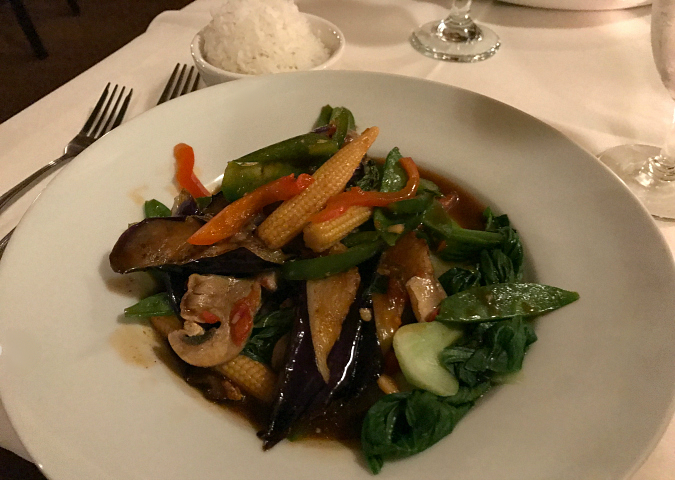 I am glad I got to try red curry. I have only been used to the yellow creamy curry from years past. Did not like that.